Mad TV's Bon Qui Qui has dropped a (yes, hilarious, but we didn't need to tell you that!) music video for "I'm A Cut You." How charming! 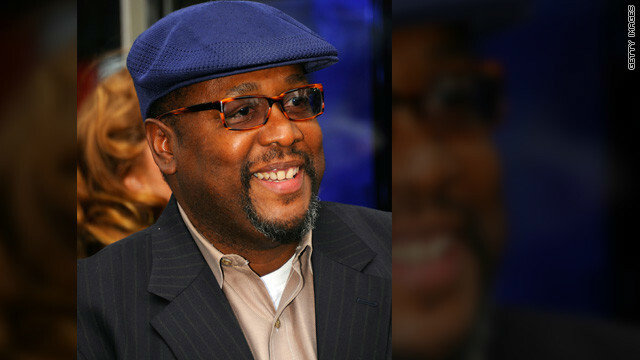 Celebrity restaurants and cookbooks are par for course, but "Treme's" Wendell Pierce (who will always be "The Wire's" Bunk to us) has gone in a slightly different direction: He plans to open a chain of grocery stores throughout his native New Orleans. According to the New York Times, Pierce, 48, will join his two business partners in unveiling a grocer called Sterling Farms this summer in Marrero, Louisiana. Pierces hopes it's the first of many that will service areas of New Orleans where grocery stores are hard to come by. Pierce and his team have already launched Sterling Express, which the Times describes as "the first in a convenience store chain" that will offer customers salads and produce alongside the more standard convenience fare. Two years ago, Demi Lovato put her career on pause to seek treatment for "emotional and physical issues," and the 19-year-old singer/actress has said she still's battling those dark moments in recovery. The teen star left the Jonas Brothers tour early in 2010 to seek help, and she recalls in the MTV documentary "Stay Strong," which aired Tuesday on the network, that she "was not eating, and purging, and self-harming. It was really difficult to be able to stop....I had so many issues underneath that needed to be taken care of, and we just kept putting band-aids over it. It literally ended up driving me insane." But that was what she faced in private - to the public, she was one of Disney Channel's talented stars, and a potential role model. Jessica Simpson's shopping for pink: The singer revealed to Elle magazine in its April issue that she and fiance Eric Johnson are awaiting a little girl. But don't expect for their new arrival to have a name remotely as common as Simpson's - they're going for something "nontraditional." "It's nothing shocking and nothing you'll have to add to the dictionary," she says. "Still, when people hear it, they'll know...why." After Fox canceled "Breaking In" last May, entertainment president Kevin Reilly almost immediately started talking about how maybe the show would come back. Fast forward 10 months, and an unlikely second season of the Christian Slater comedy is here! Tuesday night's premiere introduced Megan Mullally into the mix (sort of a deja vu on how she replaced Jane Lynch in the second season of "Party Down"). Mullally's already brought her special brand of scene-stealing to "Breaking In," and it's basically the same show, minus a few cast members from last year (we'll miss you, Michael Rosenbaum!) and what seems to be more of a focus on the office than the client of the week for Contra Security.